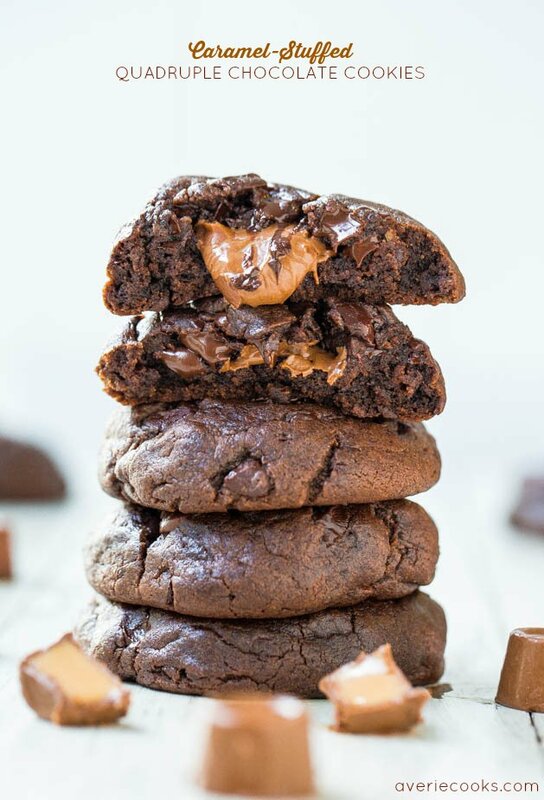 Cookies so soft that they literally melt in your mouth is the only way I want cookies. 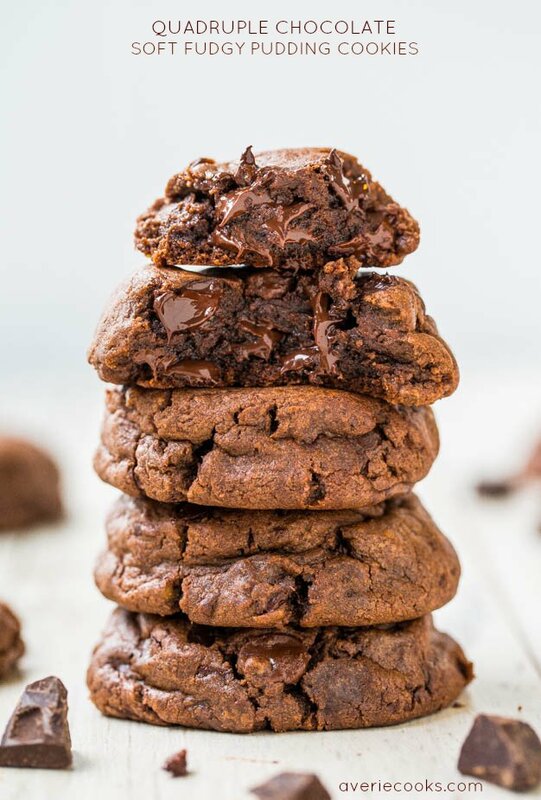 These cookies made with Nutella and two kinds of chocolate chips more than fit the bill. I made them because I wanted chocolate cookies, but not too chocolaty. Picky much? 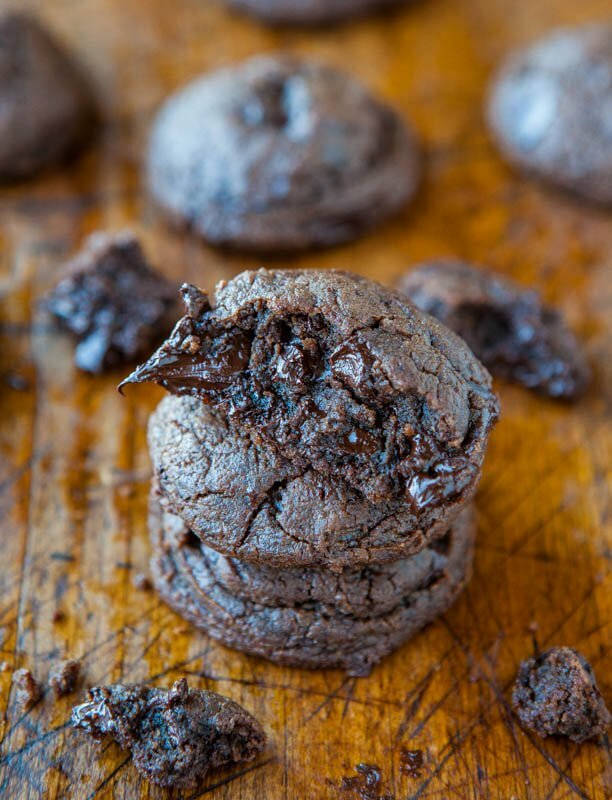 I have so many recipes for dark, rich, intensely chocolaty chocolate cookies, and I wanted something mellower and a bit less intense for summer. 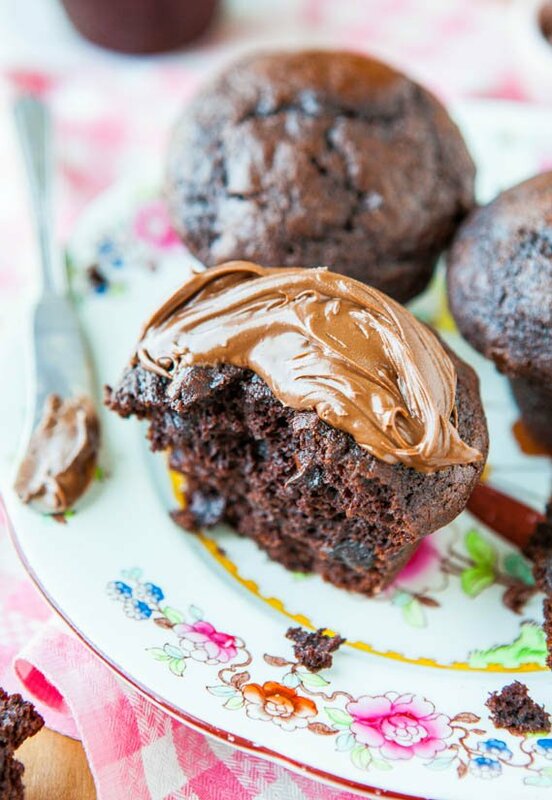 Rather than adding cocoa powder to the dough, the chocolate flavor comes entirely from Nutella. It also sweetens the dough and helps the cookies stay super soft and moist. Another trick that helps these cookies turn out so soft and tender is adding cornstarch to the dough. Before I became totally enamored with pudding cookies (pudding mix is largely cornstarch and sugar), I had a two year run of adding cornstarch to almost all my cookies because it helps them turn out softbatch-style soft, and they stay soft for days. 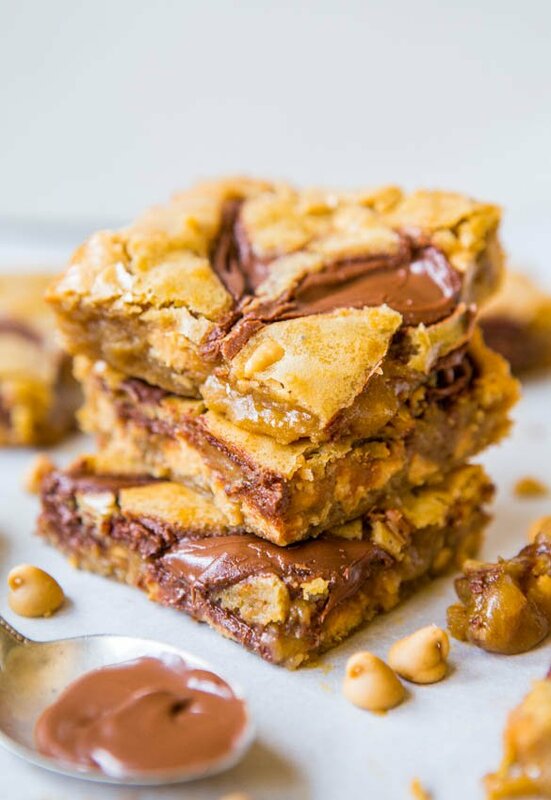 It totally delivers here and between the moisture in the brown sugar, Nutella, and cornstarch, the cookies just fall apart at their chocolate-chip loaded seams. They’re that soft. 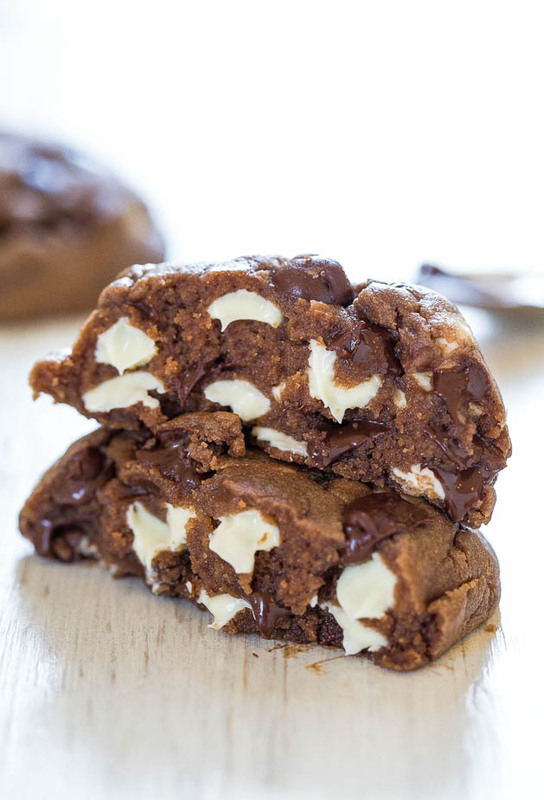 They’re also stuffed full with both white and semi-sweet chocolate chips. I adore the zingy sweetness of white chocolate, but you can use all semi-sweet chips, or mix and match with milk and semi-sweet chocolate chips. I love the way the white chocolate chips look embedded within the dark dough. The contrast of the white and dark is so eye-catching, especially when the chips get soft and melty. 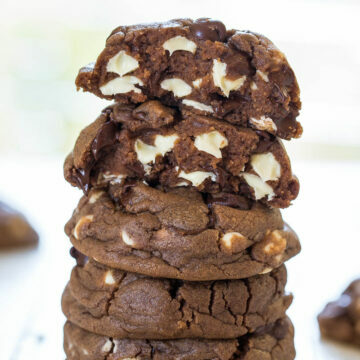 The cookies are sweet, rich, decadent, dense, and wonderfully thick. For cookies this thick, your must plan ahead and chill the dough. Soft, warm dough straight from the mixing bowl that contains softened butter and runny Nutella will never bake up into thick, puffy cookies. And if you use a cookie scoop and bake on a Silpat, even better. All these little cookie baking tricks do add up to help you achieve bakery-style cookies at home. We loved these cookies and although the batch size makes just 11 cookies, you can make the dough in advance and keep it in the fridge (5 days) or freezer (6 months) until you’re ready to bake. Every soft, juicy, chip-loaded bite is packed with big flavors and they all complement each other so well. I promise these will disappear fast. 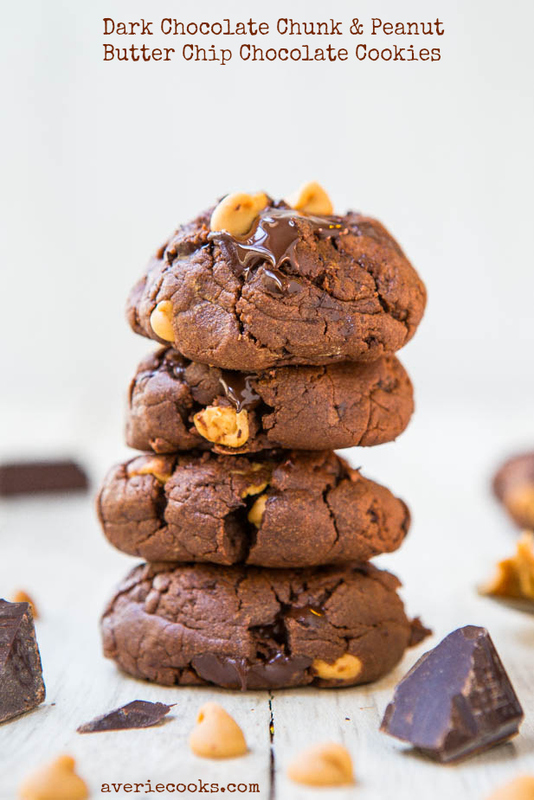 These cookies made with Nutella and stuffed with both white and semi-sweet chocolate chips are melt-in-your mouth soft and tender. A bit of cornstarch helps create softbatch-style soft cookies, and they stay soft for days. The contrast of the white chocolate chips embedded in the dark dough is so eye-catching, especially when the chips melt, glisten, and get gooey, but you can substitute with milk or semi-sweet chips, or a combination. 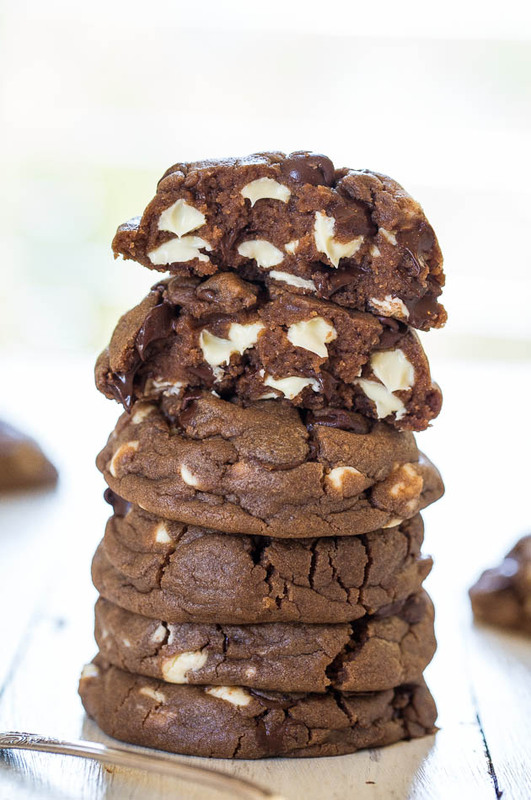 The cookies are sweet, rich, decadent, dense, and wonderfully thick. For thick cookies, your must plan ahead and chill the dough. 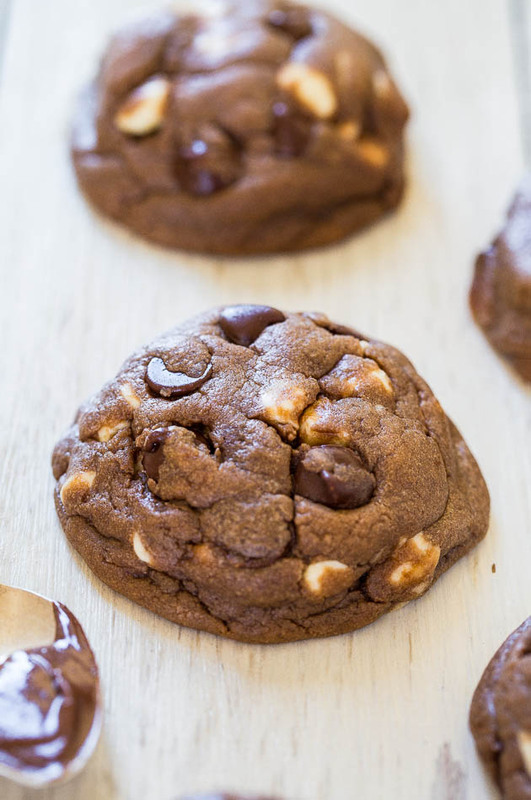 You’ll definitely need napkins for these soft, thick, bakery-style cookies. To the bowl of a stand mixer fitted with the paddle attachment (or large mixing bowl and electric mixer) combine the butter, Nutella, sugars, egg, vanilla, and beat on medium-high speed until creamed and well combined, about 4 minutes. Stop, scrape down the sides of the bowl, and add the flour, cornstarch, baking soda, optional salt, and beat on low speed until just combined, about 1 minute. Stop, scrape down the sides of the bowl, and add the white and chocolate chips, and beat on low speed until just combined, about 30 seconds. 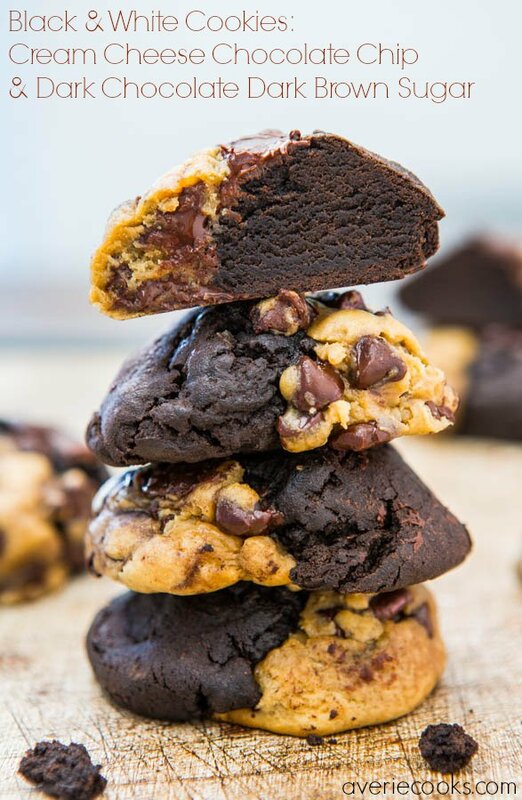 Using a large cookie scoop, 1/4-cup measure, or your hands, form approximately 11 equal-sized mounds of dough, roll into balls, and flatten slightly. 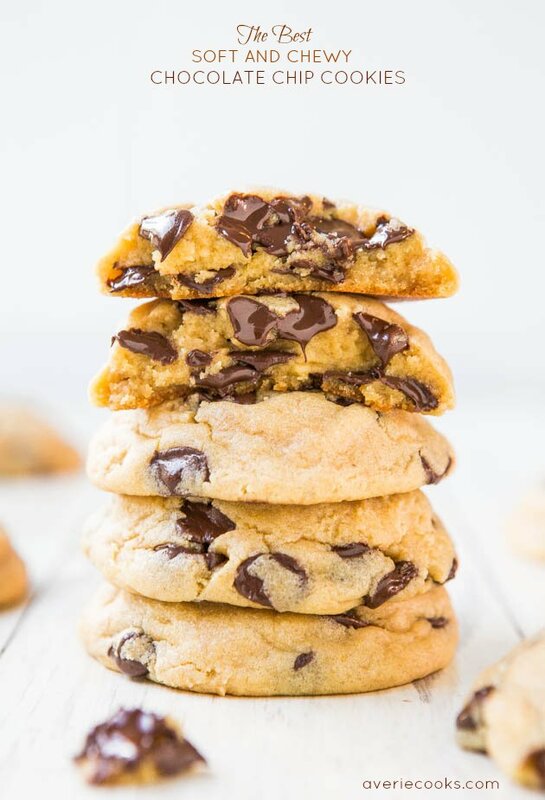 Tip – Strategically place a few chocolate chips right on top of each mound of dough by taking chips from the underside and adding them on top. Preheat oven to 350F, line a baking sheet with a Silpat or spray with cooking spray. Place dough mounds on baking sheet, spaced at least 2 inches apart (I bake 8 cookies per sheet) and bake for about 9 minutes, or until edges have set and tops are just set, even if slightly undercooked and glossy in the center; don’t overbake. Cookies firm up as they cool. Allow cookies to cool on baking sheet for about 10 minutes before serving. I let them cool on the baking sheet and don’t use a rack. Oh, I don’t see cocoa powder listed in the ingredients. Maybe I’ll add some next time. Sorry, my bad! There’s no cocoa powder in these cookies (was multi-tasking when I was previously replying to your comment…sorry!) Maybe there was just a difference in the color of the Nutella or the brown sugar or ovens? Small things can tweak the colors and exact shades of recipes but as long as they taste great, that’s the most important part! Perfect for World Nutella Day tomorrow…I can’t even stand it! :-) Love the white chocolate addition, it makes them pretty as a picture and I love the idea of that flavor contrast. I made these cookies and they turned out great. Soft and chewy. I am Nutella nut and always on hunt for recipes. I will definitely be making again. Have had the dough in the fridge for 5 days, can they go straight into the oven or do they need to sit out for a bit first? Straight to oven is fine. Enjoy! I made these for Thanksgiving and the family LOVED them. Everyone from the little ones to the elderly family members really liked these. I will definitely be making these for future holidays! Thanks for a great recipe. Thanks for trying the recipe and I’m glad it was a family hit! Thanks for trying the cookie recipes and glad you’ll be a loyal follower from now on! Is it okay to double the recipe in the same bowl, or do you suggest making two delegate batches so it will cool better? I have only made one batch at a time so it’s hard for me to give personal experience but I think one bowl is fine provided your mixer is up to the job. Also you are cooling the cookies in individual cookie shapes, not cooling the bowl. When you freeze the cookies do you need to thaw them out before you bake them or do you bake frozen. Does the baking time have to be adjusted? Just add a couple mins extra to the baking time, no need to thaw. Hi Averie! 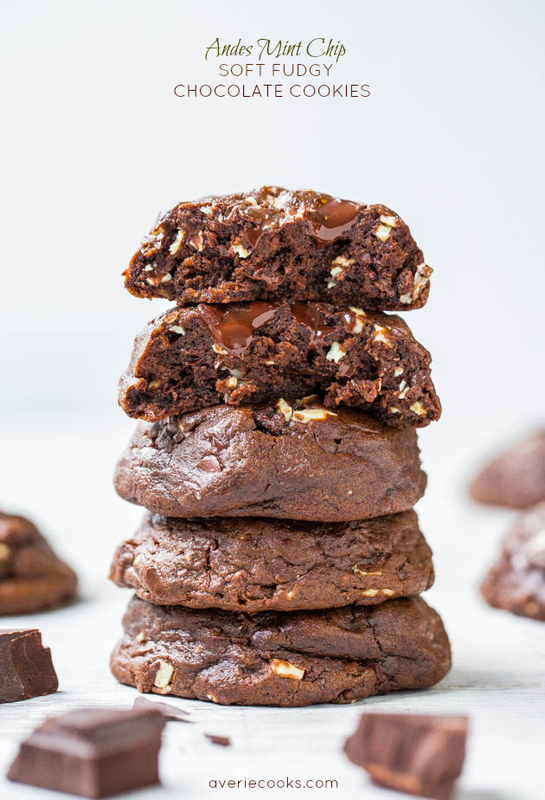 I’m a huge fan, I’ve been following your blog since freshman year of undergrad (now a grad student), and my friends and teammates absolutely adore every batch of cookies. I made this recipe true to your blog the first time, and today I mixed it up a bit. I added an extra tablespoon(ish) of Nutella and a teaspoon of cocoa powder, and I love the result. The cookies are a bit darker and just a smidge richer, I decided to just use white chocolate chips and I think it balances nicely. Thanks for the 5 star review and I’m glad you’ve been a fan for years now! The cookies sound delish with what you did!